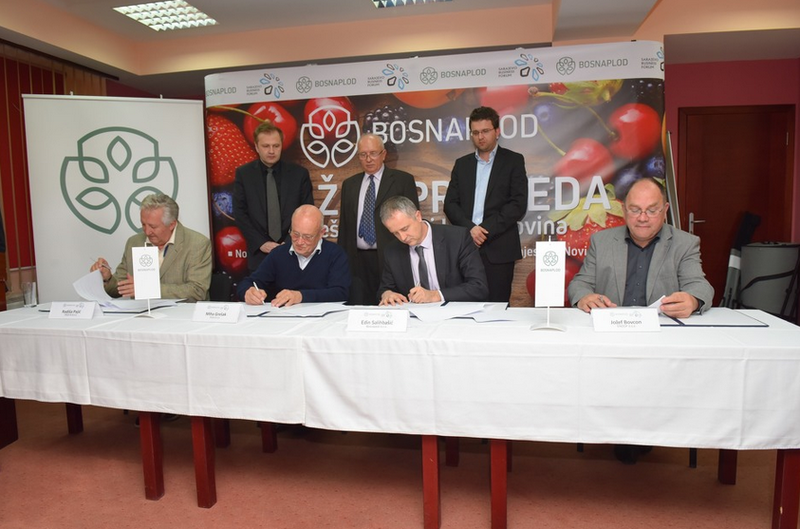 On April 14, ENOOP signed the contract for the fruit processing equipment plant for BOSNAPLOD in Brcko, BiH. At the signing ceremony, the ENOOP was presented by Jozef Bovcon, CEO, BOSNAPLOD was represented by Edin Salihbašić, CEO. ENOOP will manufacture and commission equipment for cooking of jams, preparation of fruit juices, pasteurization and filling equipment. The project is scheduled to be completed by the end of summer 2016.